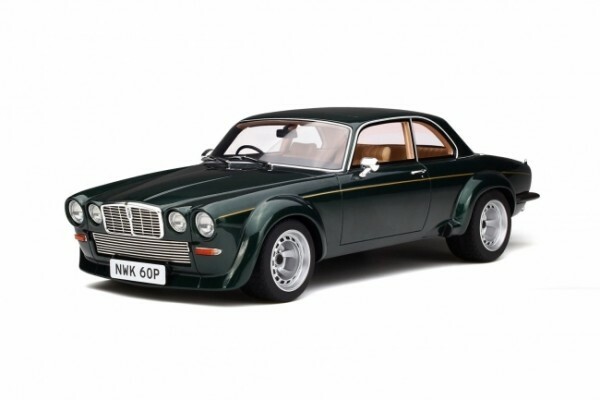 Produktinformationen "Jaguar XJ12 Coupe Broadspeed « The New Avengers » GT Spirit GT135"
An iconic car from the English television series “The Avengers” (way back in the seventies), the Jaguar XJ12-C Broadspeed was largely inspired from the Ralph Broad variant during the European Championship (group 2). With its large bodywork kit, the car kept its “small” V12 engine of 295 hp. Found in a sorry state in a barn in 2015, John Steed’s famous car was then auctioned off for more than 80000€... Seven times its original estimate! Weiterführende Links zu "Jaguar XJ12 Coupe Broadspeed « The New Avengers » GT Spirit GT135"
Kundenbewertungen für "Jaguar XJ12 Coupe Broadspeed « The New Avengers » GT Spirit GT135"